Ideal for graphene transfer using the PMMA method. 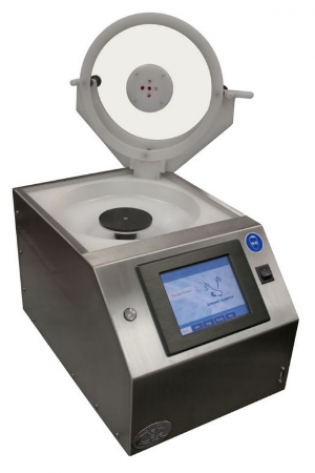 We can supply a range of Spin Coating machines, please contact us for details. The Brewer Science ® Cee® 200X spin coater features a space-saving design, onboard PC controller, full-color touch screen interface, and virtually unlimited recipe storage. By using a unique indirect drive system, Cee® spin coaters virtually eliminate risk associated with process chemicals and solvents contacting the spin motor and causing permanent damage. This critical feature ensures industry-leading reliability and uptime for our customers. 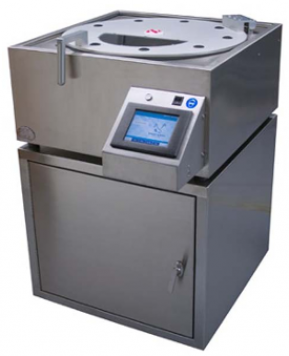 The Cee® 200X spin coater configuration includes a lid that can also be exhausted and/or N2 purged for greater environmental control. The Cee® 200X spin coater is capable of spin coating substrates up to 7” square or 200-mm round and features high torque for maximum ramping capability. You can also spin coat smaller size substrates (<1-cm through 200-mm) using a wide array of spin-coating chuck sizes. We offer three separate torque/speed options for accommodating specific loads. The Brewer Science® Cee® 300X heavy-duty-drive spin coater combines an intuitive Windows®-based operating system, extremely accurate spin speed control, and a high horsepower drive for aggressive acceleration. These features combine to ensure the elimination of process variables for a large array of process chemicals and applications. The 300X has a state-of-the-art user interface and has been designed specifically for 300-mm and larger LCD squares up to 14” × 14”.